The expression have car will travel works perfectly with fishing when you replace the car with a boat… Have boat will travel. As more and more of the easier to get two spots get decent amount old fishing traffic having a mothership means that you can just keep on going till you find fish. They typically allow you to move around with the fish and most importantly of all reduce the amount of time you spend travelling each day. Even when you are in the thick of it you still may spend two hours of your day travelling on a mothership you will spend those two hours fishing! Our main area of operation is Princess Charlotte Bay, Far North Queensland. 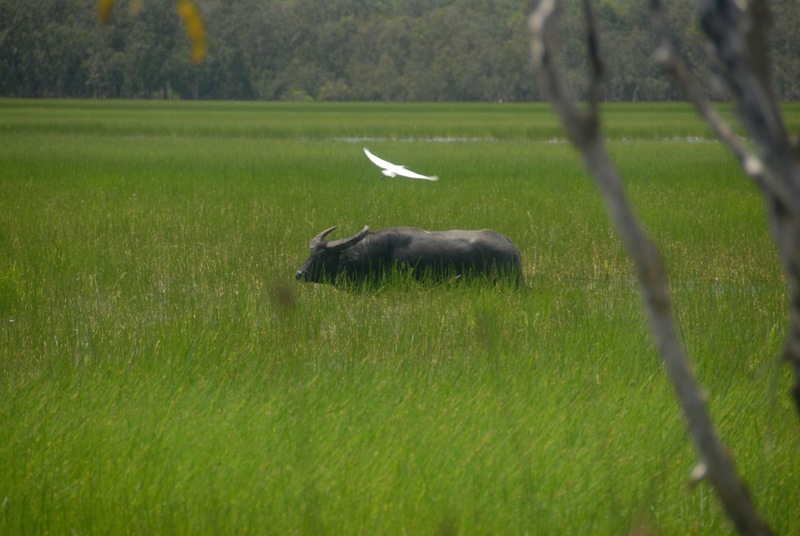 The rivers, reefs and islands of the bay lie 160km north-west of Cooktown. This pristine area allows us to target an incredible range of prime eating and sport fishing species. 7-day charters offer an experience like none other for those looking for estuary, reef and light game fishing. Live-aboard sport fishing trips are tailored around prevailing tides & weather conditions and provide the time to enable us every chance to be at the right place at the right time, every time – so if you want seven days of sun, fishing and thrills then Boomerang Sports Fishing is for you. Last season was an interesting and diverse year. The big wet experienced early in the year meant access to the Bay was delayed and our first few weeks were spent between Port Douglas and Lizard Island. Great weather and fishing meant the change of plans had little impact and fun was had by all. 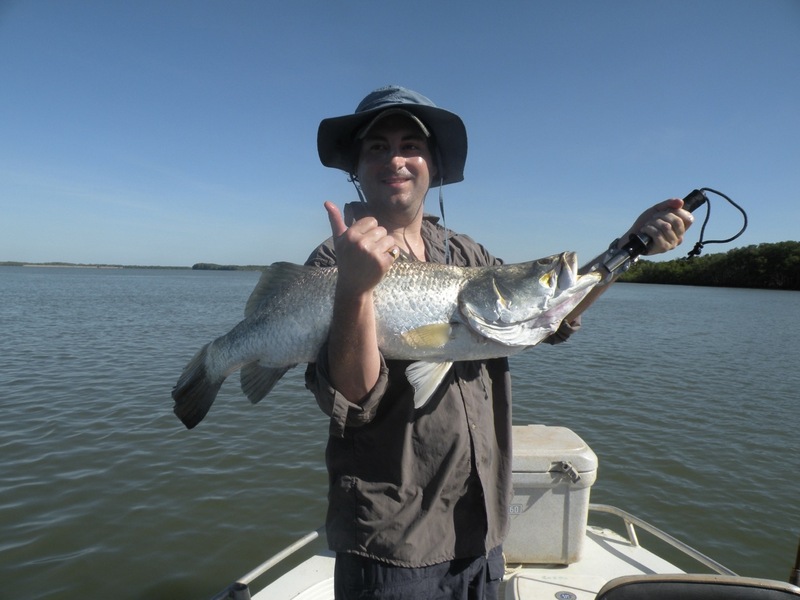 We got into the bay just before Easter and found the fishing to be as good as always landing quite a few large Barra and Threadfin Salmon. In our break between the first and second half of the season the accommodation cabins underwent refurbishment, with changes being made to bunks and storage configuration. 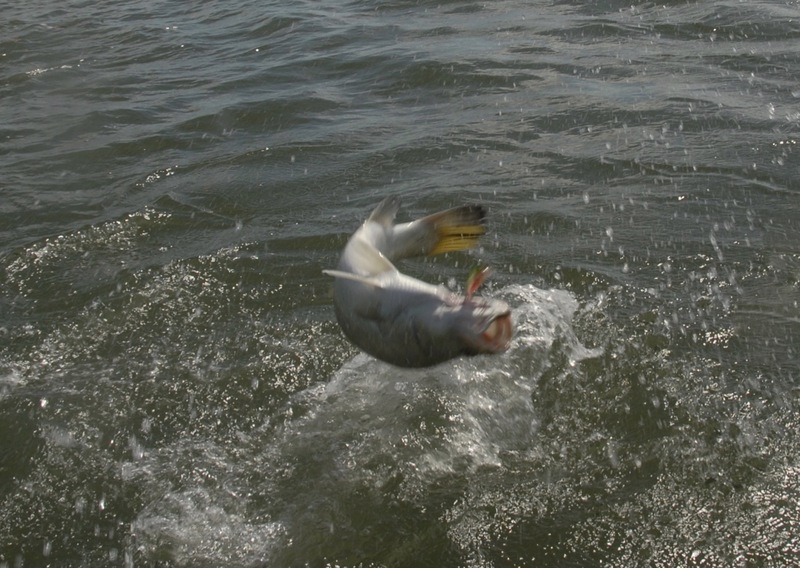 The 2nd half of the season produced regular catches of Large Mouth Nannygai, Coral Trout and GT’s. Large Mouth Nannygai were the stars with many massive specimens being caught. Some exceptional species for the year include big Dog Tooth Tuna, Black Marlin, 50lb GT’s, and some very big Maori Wrasse (handled carefully and safely released of course!). We were lucky enough to finish off the season with great weather and a couple of trips to the outer reefs. 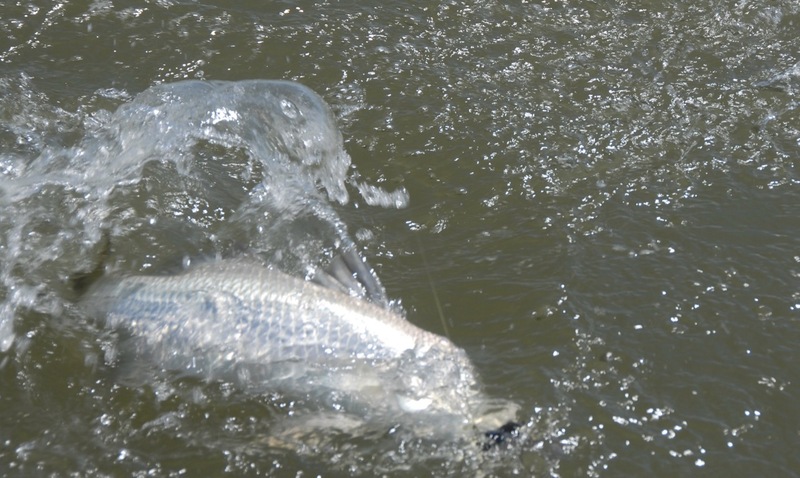 Fishing with poppers and soft plastics in the clear shallow waters was an unforgettable visual experience as the diversity of species was astounding. Large Wrasse, Red Bass and GT’s were in abundance and all putting up great battles … sometimes we won, and sometimes the fish would make mincemeat out of our gear and emerge the victors. Every battle had the same result though, it left us wanting more and we can’t wait to get back up there. Australia’s Northern Territory coastline is one of the world last truly wild fishing destinations. From steamy mangrove creeks and tropical floodplains to crystal clear reef systems, red cliffs and white sandy beaches the Northern Territory offers a limitless range of remote fishing possibilities. Catch Barramundi, Threadfin Salmon, Mangrove Jack, Jew Fish, Golden Snapper, Coral Trout, Red Emperor and Spanish mackerel as well as a huge range of other species. Mud Crabs are plentiful and painted crayfish are regularly on the menu. 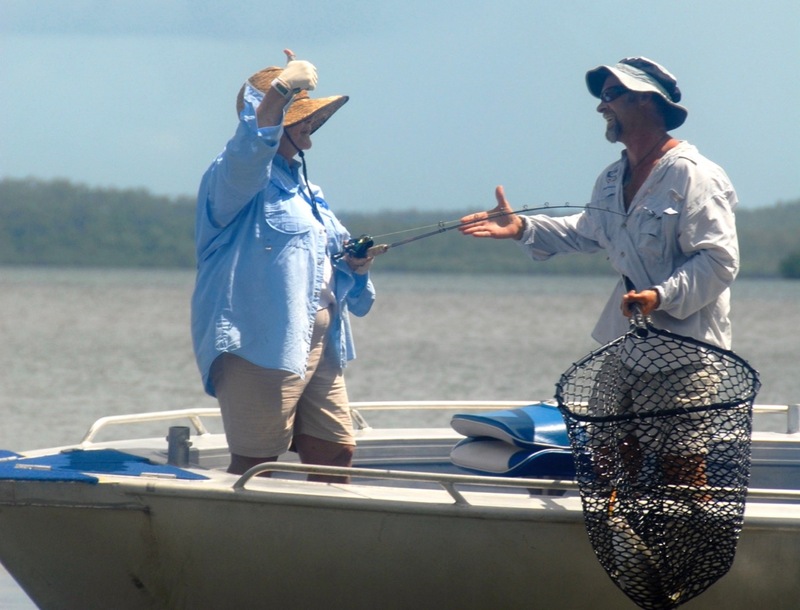 Whether it’s your annual getaway or a bucket list trip the Northern Territory fully guided fishing trip is the trip of a life time that will leave you with many enjoyable memories. 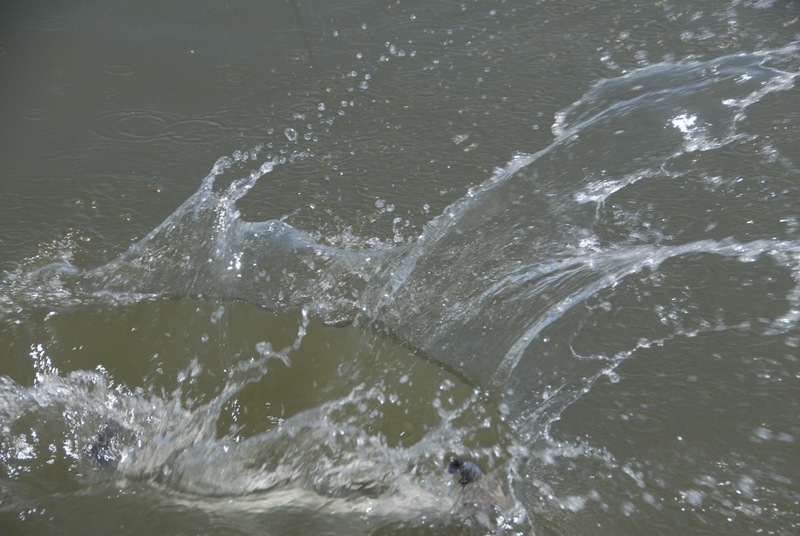 Fishing for the elusive Barramundi or many of the sporting tropical species of the northern Australian waters such as the: Black Jewfish, Threadfin and Blue Salmon, Golden Snapper, Giant Trevally, Queenfish, Rock Cod and Mangrove Jacks.